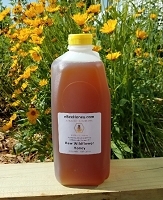 Home > Honey Candy > Honey Candy - 1 lb. 1 pound of candy is approximately 82 pieces. 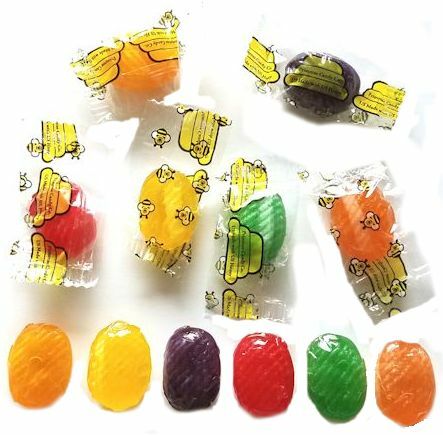 Our honey candy includes 6 flavors with each candy filled with U.S. Honey. 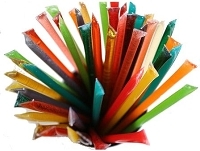 This variety pack includes 6 flavors which are: Apple, Grape, Honey, Lemon, Orange and Strawberry. 1 pound of candy is approximately 82 pieces. 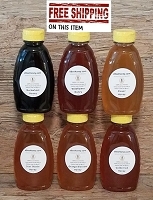 We really enjoy ordering EBee Honey. It taste delish on it's on but exploring all the flavors is the fun part. 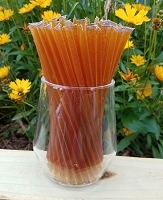 We also love the Honey straws and Honey candy. These items are great for little ones (my 7 year old) to take to school, especially on a cold, yukky day. The honey filled candy is a wonderful addition to my craft table. 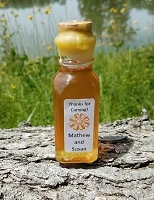 I make Beeswax skin care products and the candy (and honey stix) gives the children something to look forward to while Mom tries my balms, slaves and lotions. The flavors are very good. Delicious, good value, quickly delivered. Will buy from again and will recommend to anyone. Thank You! I ordered the honey candy for my son’s upcoming Rehearsal Dinner (for the kids) and of course I had to taste them. Love them. Even took some into my office & everyone loved the taste of them. So good! This candy is fantastic. It's also great for sore throat relief! Will definitely purchase again. My family and I are in love with these! They are surprisingly yummy! Great Candy. I agree with all the other 5 star reviews. 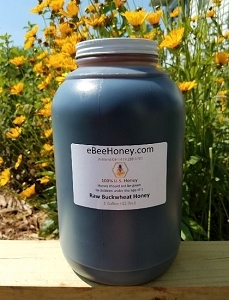 Got 1-lb of these with 2 kinds of comb honey. All were excellent and shipping was very fast. Also, since nobody mentioned it, I like the "easy open" wrappers. They appear to be made to tear or open easily. I have trouble with dexterity in my right hand and I can open them just fine. Would be great for older and/or disabled people. We just love this candy has a great flavor and knowing it is made with honey just makes it all that better. I ordered these for a baby shower and they were the perfect treat. I love them so much I'm ordering some to have at home!!! I ordered these for a work event. They were excellent! The hard candy tasted great, the burst of honey in the center was a nice surprise for those enjoying the candy, and the added touch of bees on the wrappers made them perfect for our bee-themed event! These taste good, as good as the best hard candy I have ever had, however, I expected a liquid honey center. What I found instead was a chewy honey center. Very unexpected. We do like it, though, and will most likely order more eventually. These are great snacks or kid treats. 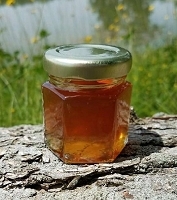 I have them with my other honey products at farmers' markets and kids love them!! So full of honey flavor! Your honey candies are so full of the honey flavor! It was a nice surprise! I thought they would be like any other hard candy (sugary and disappointing)... but they were anything but that.....THEY ARE DELICIOUS! Yummy, was what we heard from 30+ kids. My daughter gave out this candy after she did a presentation on parts of the beehive and beekeeping for her 4-H club. These candies went perfectly w/my personalized honey jars, which I used for favors at my Daughter-in-laws Baby Shower. Great turn-around time! These are perfect for the workplace to fill a candy dish. Pretty tasty. This candy is so good! The perfect balance of sour and sweet. This candy is a favorite of ours. Tried it for the first time last year and ordered more this year. Love the flavors! I passed the candies around my office and everyone loved them! These are delicious. I got a bigger pack this time. This candy is great and worth the time to get to the honey in the middle. The Lemon and Grape are our favorites. 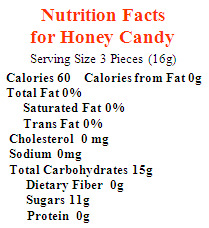 Try finding and better alternative to this natural candy ~ it may be possible for difficult. This purchase was nothing more than trying something different. Move foward, the purchase will be deliberate. Hard candy is a yummy treat! Love the gooey honey center! All around great flavor!